One of the best investments you make in your home is remodeling your kitchen and/or bath. A facelift can make it more inviting, while a remodel may mean the difference between dysfunction and creating fabulous meals for years to come. Kitchens – the Heart of the Home! One of the best investments you can make in your home is remodeling your kitchen. In many households, the kitchen is the hub of the home and the center of activity. It’s the central room in your house and one of the most important for you and your family. From a purely financial standpoint, an upgraded kitchen can add thousands to the value of your home, if not more! Done right, a new kitchen is an amazing investment in your property for you and your family but it has to be done to a very high quality and standard, and also must be safe and functional for it to serve its purpose to its full potential. Maybe you’ve seen pictures on the internet of dream kitchens and wanted one in your house, but didn’t know how to go about it? We’ve got you covered – no matter how big or small your project, we have the knowledge and remodeling experience to make it happen, and make it happen without breaking the bank! Kitchens also often serve as the gathering places for your family and friends. A facelift can make it more inviting to your guests, while a remodel can make it more functional for you. We can add as many modern features as you require and tailor those needs to your budget and available space. Remodeling a kitchen or building a new one takes a lot of experience to get right, and we’ve been designing kitchens for over 30 years! 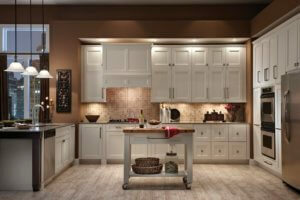 We know that your kitchen is important to you and we want to make it the new focal point of your home. A well-designed bathroom can be more than functional. It can save time, provide storage and also be a place of relaxation as well as pleasing to the eye. A guest bath also can make a make your visitors feel welcome and special while allowing you and your family to still use the primary space with no interruption or invasion of privacy. We are able to incorporate all the latest technology into your new bathroom that your budget will allow and still make you feel pampered and welcome every time you step into the room. A new bathroom is a chance to start fresh while a remodel can bring a tried, old bathroom back to life again! Could yours use a little help? Call us today to take a look at what the future could hold for your bath.